You probably heard about it, as it had been in the works since Summer. 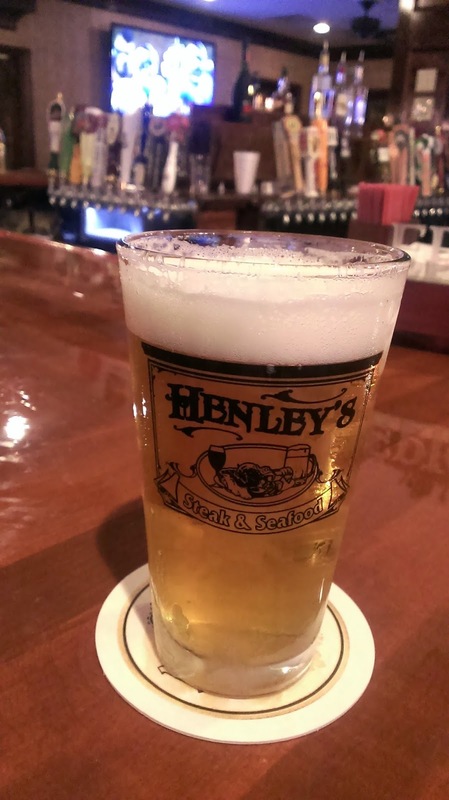 The new Henley's Steak and Seafood is now open in downtown St. Augustine, upstairs at the corner of St. George and Hypolita Streets. It's the sister to the J.P.Henley's pub on Marine Street (which, as you know [especially if you read my posts], has 70 taps, along with wine, and salads and sandwiches). 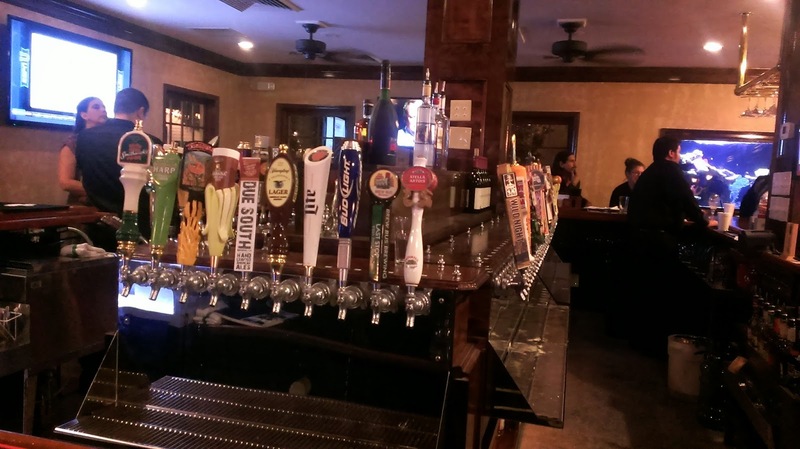 The new place has 100 taps, which last night included about 10 or so for Florida craft. I was happy to see one of my favorites: Swamp Head Brewery's Wild Night Honey Cream Ale. I also had an Engine 15 Nut Sack Brown Ale (which is not only fun to say, but it's a really good beer). SwampHead Wild Night Honey Cream Ale! There's also wine and a full liquor bar. The bar opened to a soft opening last night, and they'll be serving up some bar food/appetizers starting today (Saturday). According to Pat Henley, the full dining menu is still about a week or so away. I had the chance to get a sneak peek a little over a week ago, and although there were still boxes around, it was exciting to see all those taps! 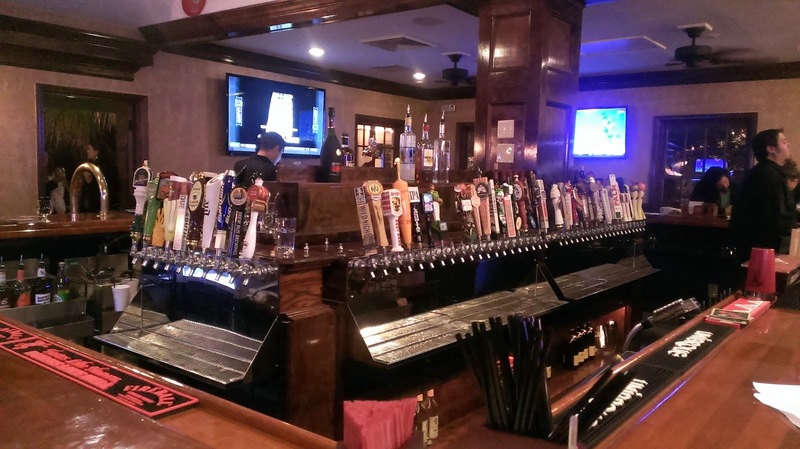 The wraparound bar surrounds the island of taps, and there are 7 HD TVs in the bar area. Great views of the downtown from the outside deck seating too. The dining rooms feature tables and booths, along with several fish tanks. Not all of the beers were available last night, and they still have some things to work out. For now, the beer list is simply a typed list, with some handwritten notes. If you're not familiar with some of these names, you'll need some extra information. Once it gets in full swing, this place will be a welcome addition to the restaurant scene in St. Augustine. I'm looking forward to dinner!